A feeling of breathlessness came over Nijole Ubonas as she was sitting in class in the middle of the day. She thought about every breath she took with fear running through her body. She suffered a shortness of breath, which is a common symptom of caffeine consumption. According to Ellen Bauersfeld, registered dietitian at the Klotz Center, studies have shown the human body should have no more than 400 mg of caffeine a day. However, everyone is different and can handle more or less. Ubonas drank about three Rockstar energy drinks every day for a year, with the occasional coffee. Since the day she felt short of breath, she has cut down to one 24 ounce Rockstar a day, which has 240 mg of caffeine. The 21-year-old said she replaced the additional Rockstar drinks with juice or soda in order to cut down her caffeine consumption. 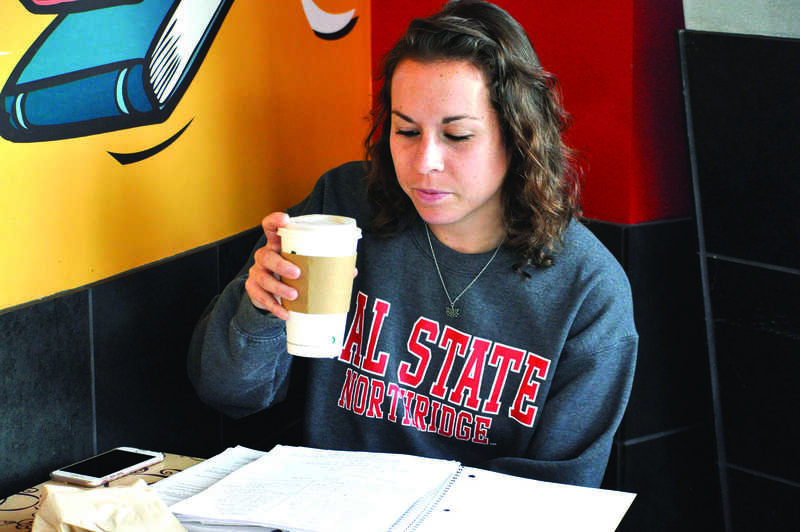 Senior Christine Nation would get painful headaches if she went a day without consuming caffeine. The 22-year-old said she was addicted to black and green tea. According to Nation, whenever she would go to a friend’s house to spend the night, she would always feel the need to bring a bottle of iced tea with her. If she didn’t have caffeine at some point during the day, her headaches would persist. Nation found that her caffeine consumption was also disrupting her sleep schedule. She would lay awake at night or sleep restlessly. She has now kicked her tea habit and has coffee sparingly. “The only times recently that I’ve used caffeine for school is if I have a late class and I need just a cup of coffee to stay awake because of its senior year, and I have three-hour classes all week,” Nation said. According to Bauersfeld, some of the negative side effects of too much caffeine include insomnia, elevated blood pressure, irregular heartbeat, nausea, gastrointestinal problems and increased nervousness among others. 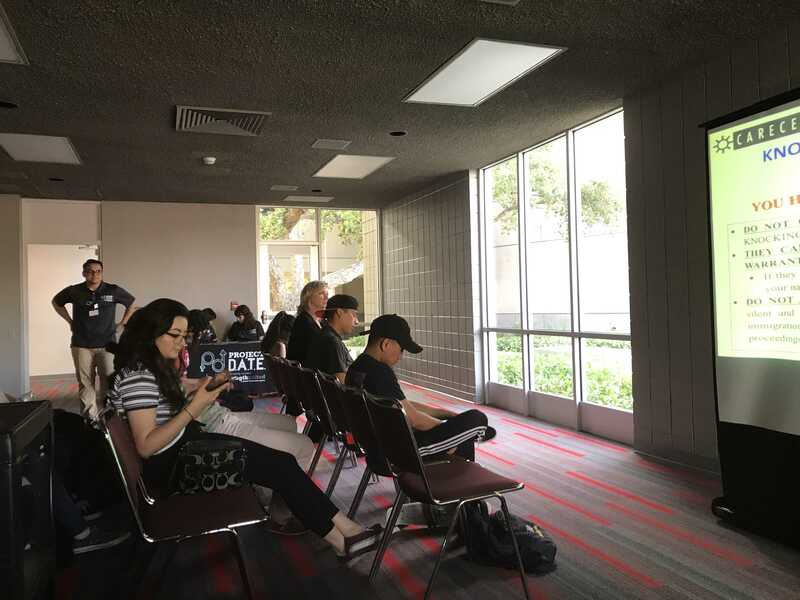 “Everyone is sensitive and some people can have significant symptoms that can interfere with their daily lives,” Bauersfeld said. Bauersfeld emphasized that all students vary when it comes to the limit of how much the body can handle caffeine. She doesn’t think anyone knows what the exact number of milligrams is safe. The biggest problem to Bauersfeld when it comes to caffeine consumption is people get used to it. Therefore, if they don’t have it they will get withdrawal symptoms. As a dietitian, Bauersfeld said that if a person drinks too much caffeine, they probably have unhealthy eating habits as well. Students use caffeine for energy, but as human beings, they should rely on food for this. “Our bodies are designed to use food for energy. 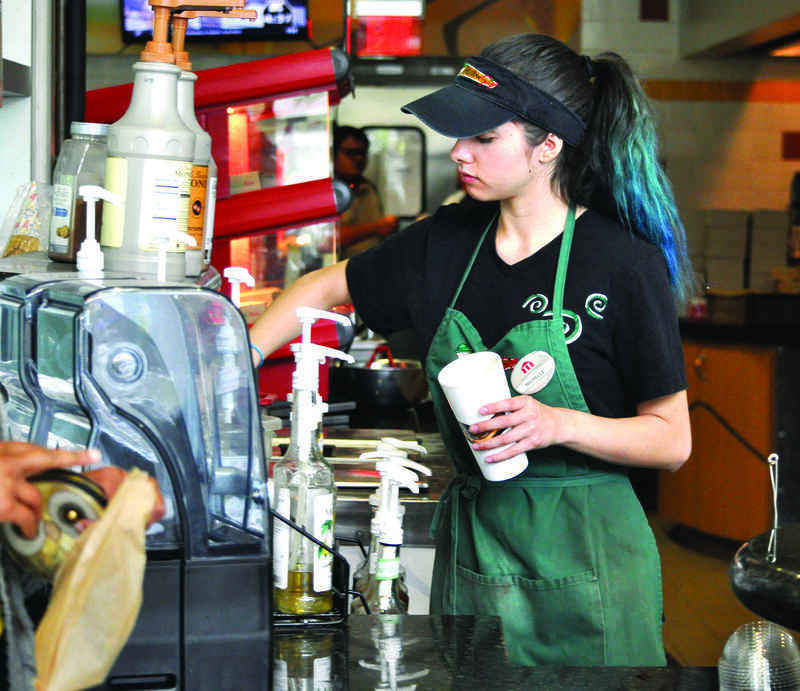 As nutrition improves, it gives them [students] energy for long term,” Bauersfeld said.